Item is Used with Normal Wear and Tear, Tested and Working. Phone is Loaded with SCCP 8.0 Firmware. The Messages key offers direct access to voicemail. In the near future voicemail speech-to-text readout will be available on the display. 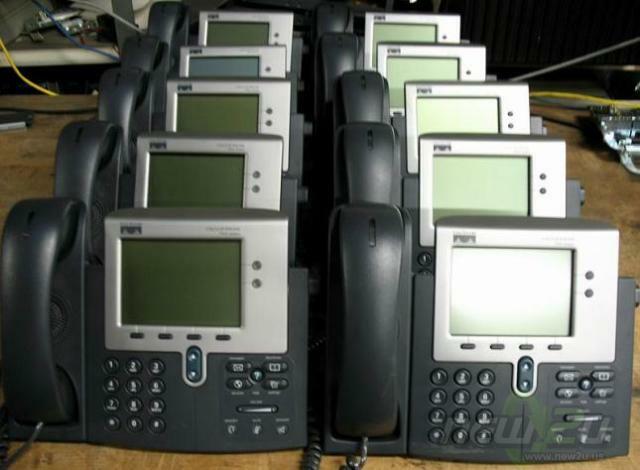 The Cisco Unified IP Phone 7940G identifies incoming messages and categorizes them for users on the screen, allowing users to quickly and effectively return calls using direct dial-back capability. The corporate directory integrates with the Lightweight Directory Access Protocol (LDAP3) standard directory. The Settings feature key allows the user to adjust display contrast and select from a large number of unique ringer sounds, volume settings for all audio such as ringer, handset, headset, and speaker. Network configuration preferences can also be set up. (Network configuration is usually set up by the system administrator.) Configuration can be either automatic or manually set up for Dynamic Host Control Protocol (DHCP), Trivial File Transfer Protocol (TFTP), Cisco Unified CallManagers, and backup Cisco Unified CallManagers. A huge advantage is the ability for no hands on moves and changes. Users can just pick up the phone and move to the new location anywhere on their network. No system administration is required. 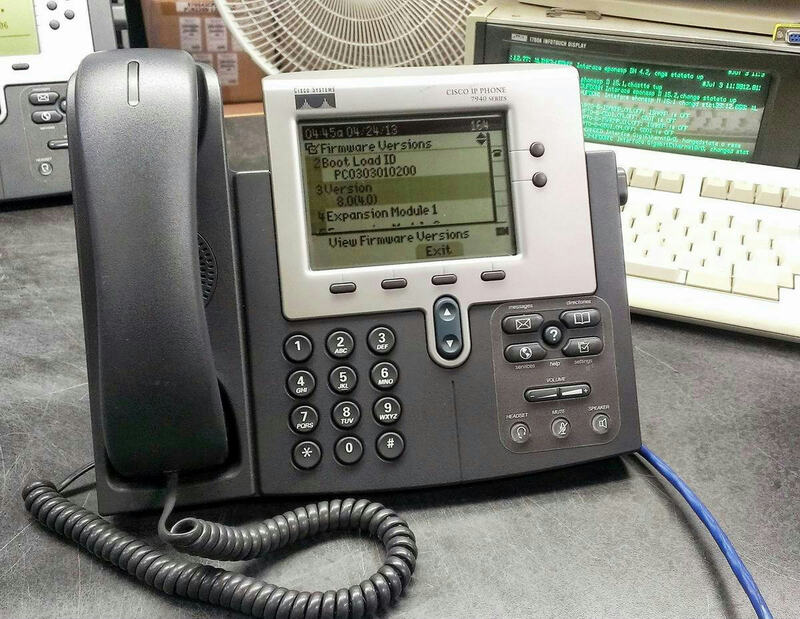 The Cisco Unified IP Phone 7940G allows users to quickly access diverse information such as weather, stocks, quote of the day, or any Web-based information using XML to provide a portal to an ever-growing world of features and information. The online help feature gives users information about the phone keys, buttons, and features. The pixel display allows for greater flexibility of features and significantly expands the information viewed when using features such as Services, Information, Messages, and Directory. For example, the Directory button can show local and server-based directory information. 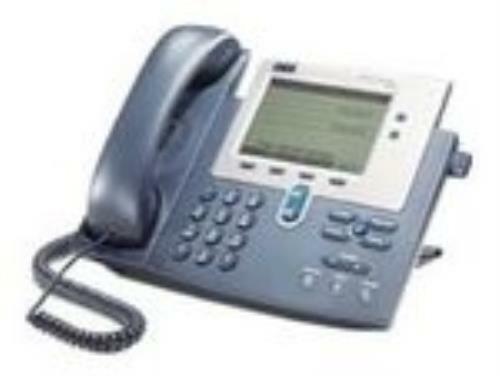 The Cisco Unified IP Phone 7940G features high-quality, speakerphone technology. It also includes an easy-to-use speaker on/off button and microphone mute buttons. These buttons are lit when active. The internal Cisco two-port Ethernet switch allows for a direct connection to a 10/100BASE-T Ethernet network through an RJ-45 interface with single LAN connectivity for both the phone and a co-located PC. The system administrator can designate separate VLANs (802.1Q) for the PC and Cisco IP phones, providing improved security and reliability of voice and data traffic. A dedicated headset port eliminates the need for a separate amplifier when using a headset, allowing the handset to remain in its cradle and thereby making headset use simpler. The convenient volume control button on the phone provides for easy decibel-level adjustments for the speakerphone, handset, headset, and ringer. The handset is hearing aid-compatible (HAC) and meets FCC loudness requirements for Americans with Disabilities Act (ADA). Section 508 loudness requirements can be achieved using industry-standard inline handset amplifiers such as Walker Equipment W-10 or CE-100 amplifiers. The dial pad is also ADA-compliant. The footstand of the Cisco Unified IP Phone 7940G is adjustable from flat to 60 degrees to provide optimum display viewing and comfortable use of all buttons and keys. The footstand is keyed to match standard wall jack configurations for wall mounting. Two optional wall-mount brackets are also offered. The Cisco Unified IP Phone 7940G can also receive power down the LAN from any of the Cisco Inline Power-capable blades and boxes. For added security, the audible dual tone multifrequency (DTMF) tones are masked when the speakerphone mode is used. Powered by Kyozou. © inStock901.com - Technology Superstore of BPAI LLC. All rights reserved.